Letterpress is quite limited technology as we cannot to reproduce gradients, big floods or nice photos by using this technique. Its always good to have possibilities reproduce works as they are designed. In cases when we have to print high quality photos and letterpress or foiling in same project, we mostly use combination of traditional and digital printing techniques. 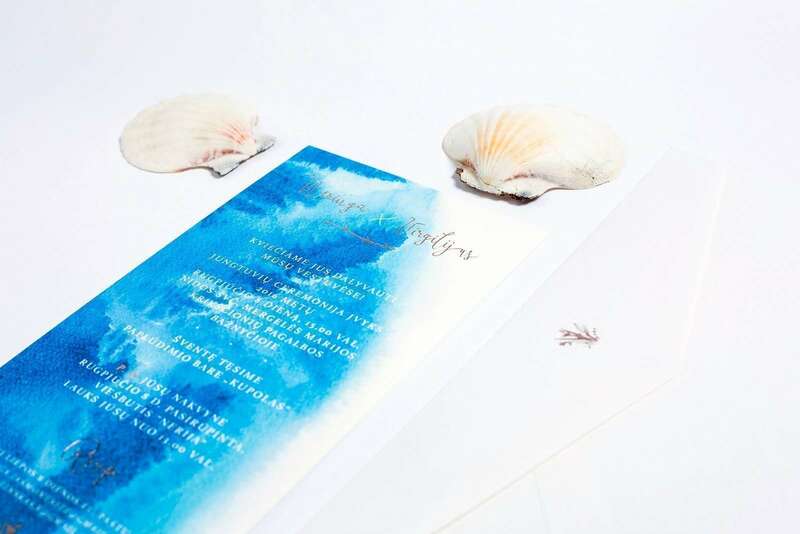 This beautiful wedding invitation, which we produced for our friend Vestuviu kvietimai, is printed in 2 technologies – hot foiling and digital printing. In such combination this invitation turned out really impressive. Background of this wedding invitation we have printed digitally on thick high quality cotton paper. After that it can be finished with various traditional technologies like letterpress hot foiling intaglio (engraving) etc.